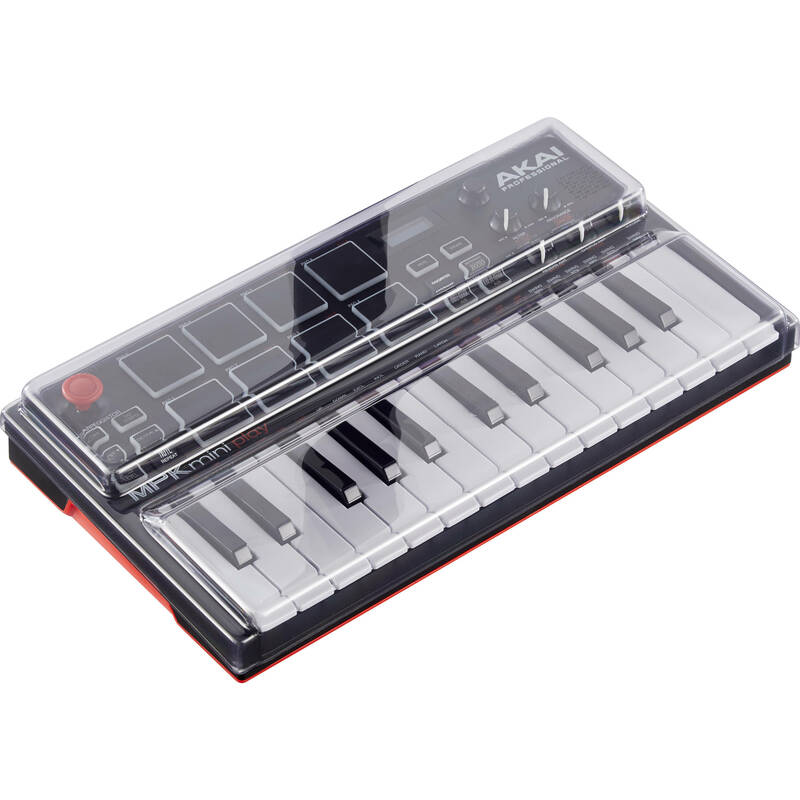 Styled in a smoked/clear finish to preserve visibility, the Decksaver Cover for the Akai MPK Mini Play Keyboard Controller is made from durable polycarbonate and provides protection from dust, liquid, and accidental impacts. The cover fits handily into carrying cases and can accommodate any compatible cables, allowing the controller to be setup for use at any time. In keeping your MPK Mini Play Keyboard's knobs, pads, and keys unperturbed by the elements, you'll find this cover useful at home, on the road, or at any gig. Box Dimensions (LxWxH) 14.45 x 10.5 x 1.3"